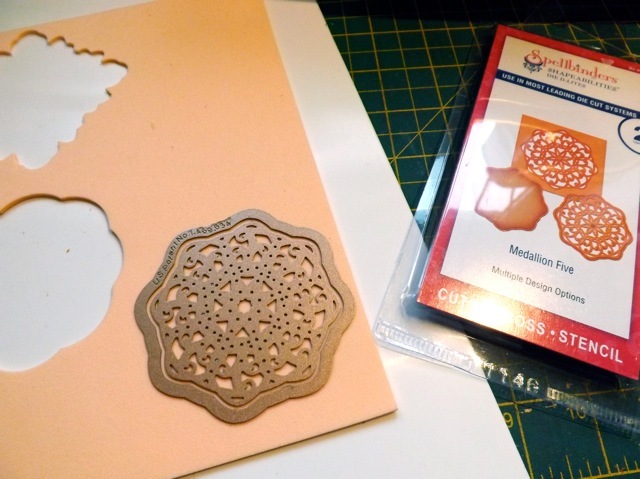 OK, so based on the comments I’ve gotten an emails received, I am not the only person who is struggling to cut some of the Spellbinders D-Lites dies. 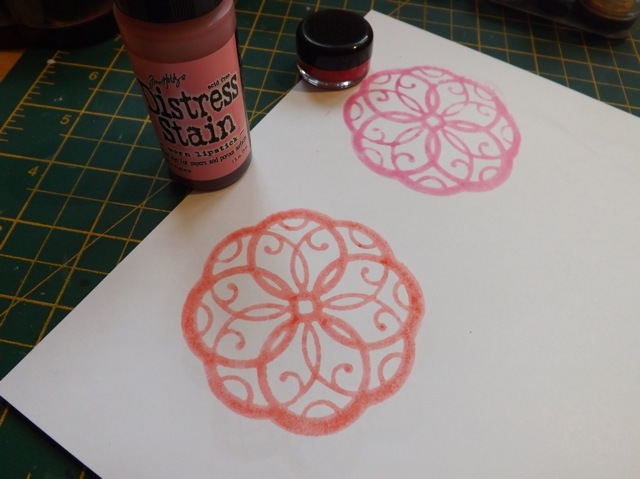 So this post is likely going to come out of left field, but trust me when I say that I had less trouble making these stamps with Fun Foam than I did cutting the D-Lites out of cardstock! 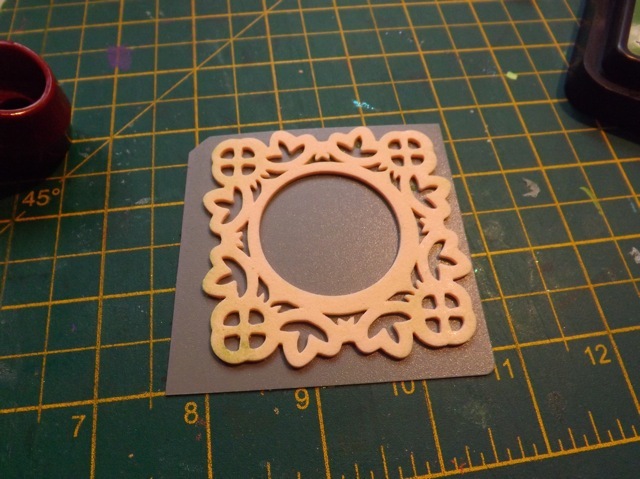 There is nothing I had to do to accomplish this – standard sandwich of base plate and cutting plate, no shim, Grand Calibur. 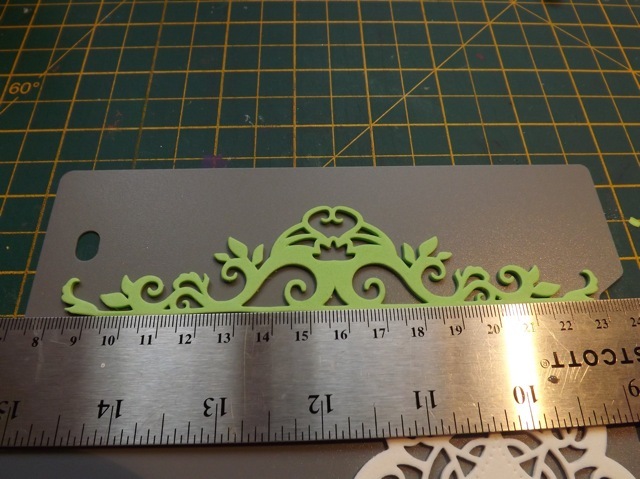 Now, NORMALLY I would cut the sticky backed fun foam but a. I didn’t have any on hand and b. as it is paper-backed, I feared I would have the SAME problem I had with cutting cardstock. The un-sticky foam has issues but I’ll try to address them. 2. Once you have the motif, sort of flex it. 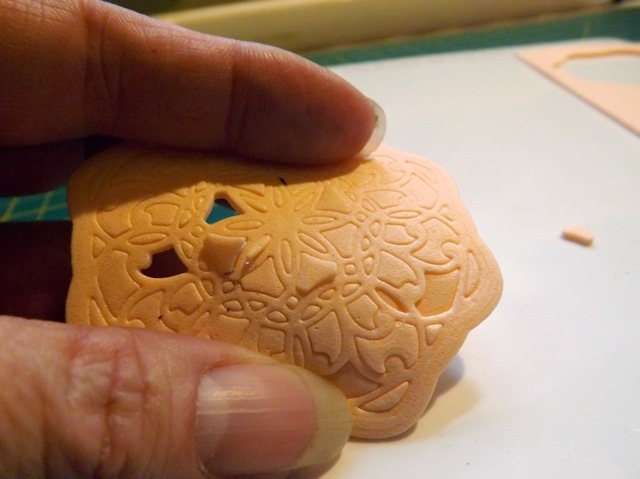 You will see some of the bigger bits pop up – just flick them out. 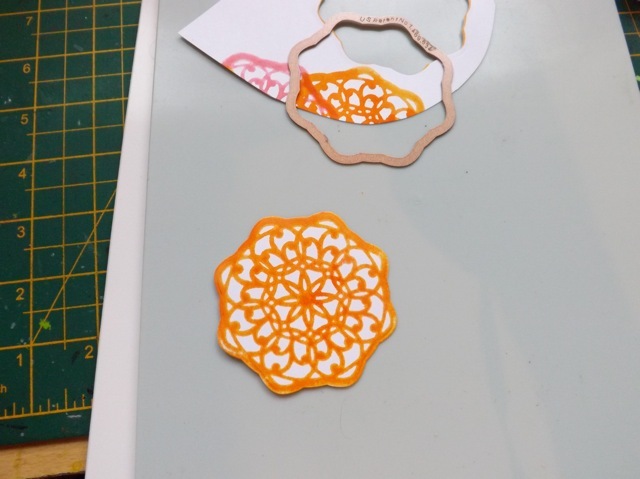 …but they came out easy for a prefect final piece. I used glue to stick it to a mount. No matter what you use to mount them, these are never going to stand up to the vigorous cleaning you may be used to, but my method works for most inks, with some caveats! 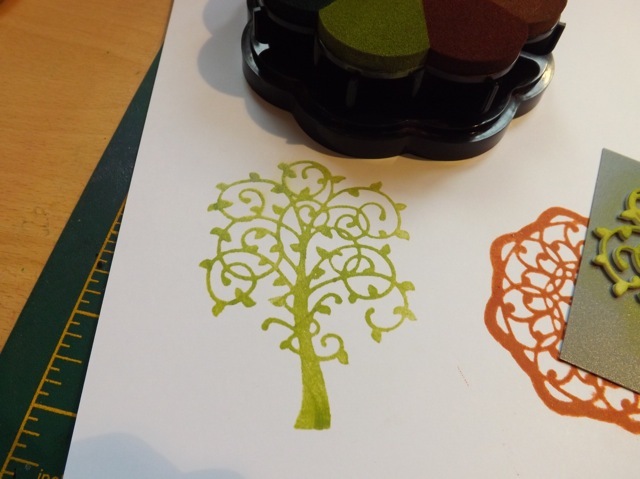 I’ll explain as I show the various ink results. Now, to clean it. 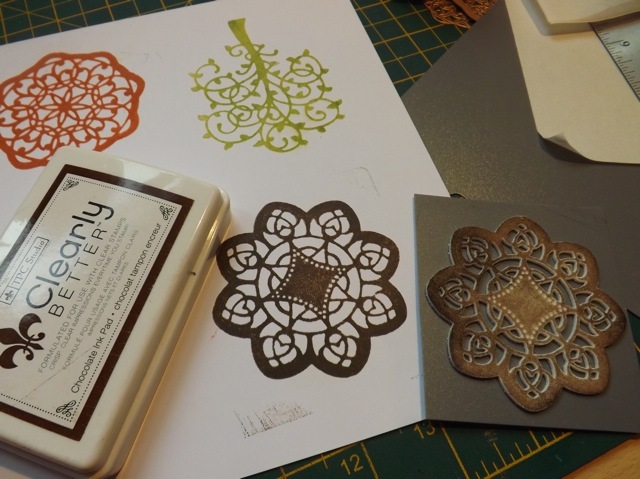 Lay a baby wipe over the top and brayer over it! Easy peasy. 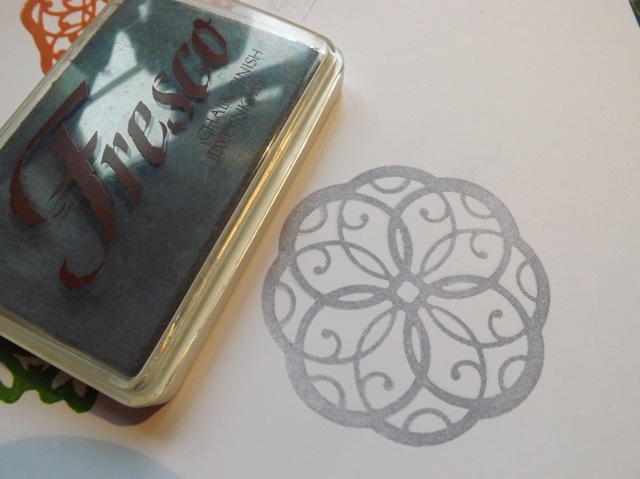 You will need to do this pretty sharpish – I don’t know how clean it will be if you let the ink dry on the stamp for some of the inks. 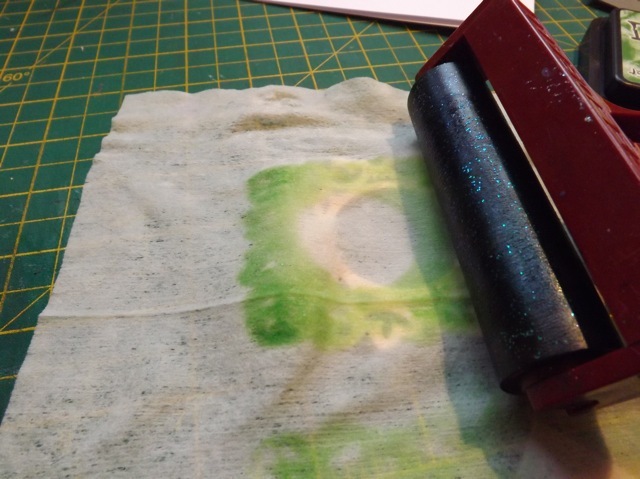 And as the stamp will then be damp, you will need to either put a paper towel over and brayer again to dry it, or let it dry before re-inking. 4. 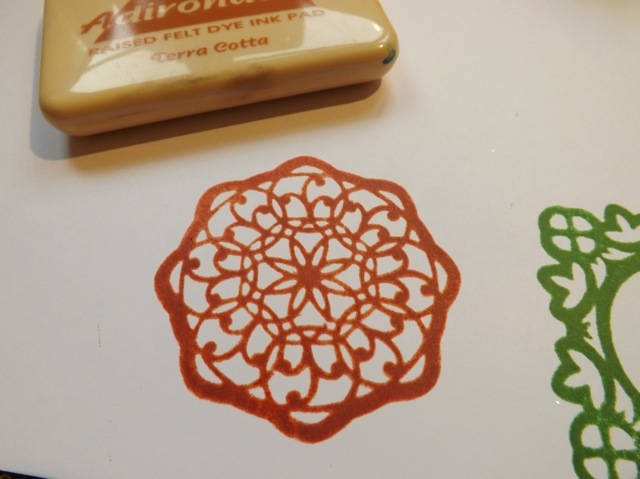 Pigment ink – also cleans up totally and you can emboss with powders! 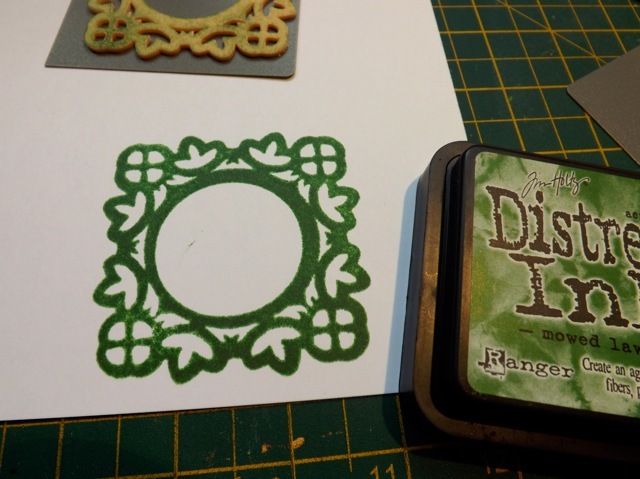 And finally, because your stamp is made from the die, you can cut the stamped image out using the frame part of the die! Nice. So there you go. If I can find some sticky backed fun foam I’ll give that a go, but am not optimistic about it working. I have 90% finished both my WOYWW project AND my Stampotique Designer’s Challenge but got so sidetracked by THIS I set them aside momentarily. It was actually the SDC challenge of using paint that sparked the idea for these stamps, but in the end I didnt;t actually ise them for the challenge! I’ll get back to them today and hopefully finish both. 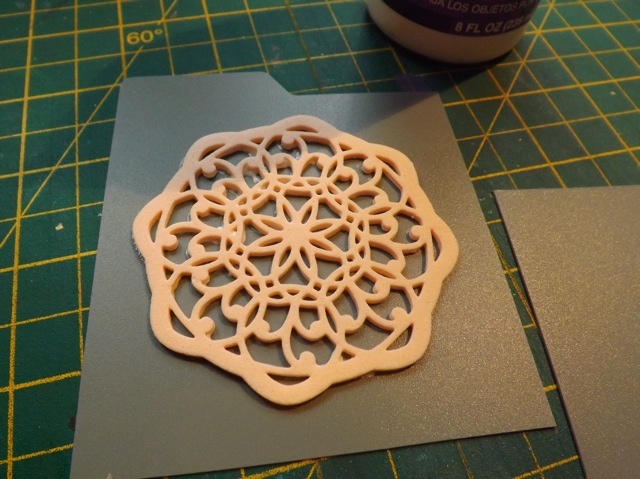 Categories: die-cuts, Spellbinders, stamping, tutorial | Tags: Die D-Lites, how-to, Spellbinders, stamps | Permalink. Thanks again for all your efforts on this topic. I will be repining this since that is how I found you. Thank you for a great idea for other dies I have. 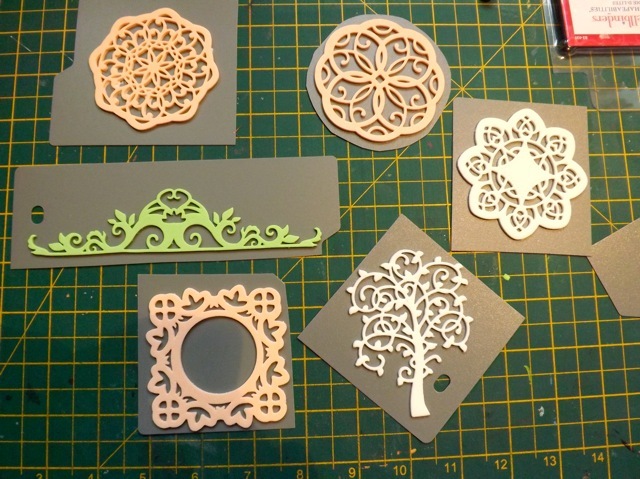 I found fun foam works so well for so many things and it cuts like a dream in the Cricut. 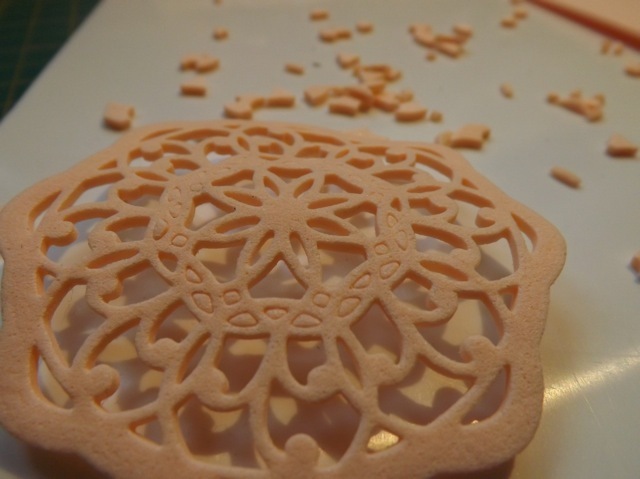 The fun foam is sometimes thick enough that a person doesn’t have to use pop dots for the dimension. 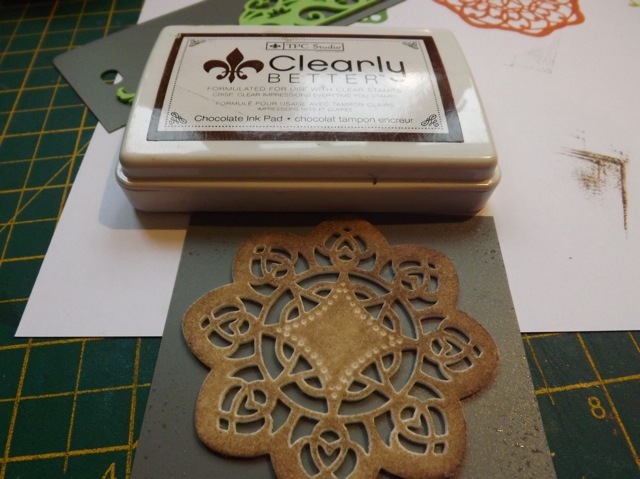 Very clever but you are naughty – have resisted buying too many dies – until now.